Entering his 32nd season broadcasting Lakers games, this will be Stu Lantz’s 16th season working television exclusively as color commentator. With the end of the Lakers simulcast era prior to the 2003-04 season, Stu now teams with play-by-play man Bill Macdonald and broadcasts every Lakers game televised on Spectrum SportsNet. Providing each broadcast with his expert analysis and unique insight garnered through his 40-plus years associated with the NBA as both a player and color commentator, he has received numerous awards over the years. Chosen Southern California’s best radio color commentator six times by the Southern California Sports Broadcaster’s Association and best television color commentator on seven occasions, Stu has also won seven local EMMY Awards for his work in the Best Live Sports Telecast category. A graduate of the University of Nebraska (1968), the Cornhuskers officially retired his uniform number (22) on October 17, 1989 during halftime ceremonies of a Lakers’ preseason game in Lincoln. Born in Uniontown, PA, Stu was originally a third round draft pick of the San Diego Rockets in 1968. Spending his first three seasons in San Diego, he enjoyed his finest pro campaign in 1970-71, averaging career-high figures in both scoring (20.6) and rebounding (5.0). The following season, Stu ranked sixth overall in the NBA in free throw percentage (.838). He also played for the Detroit Pistons (1972-1974) and New Orleans Jazz (1974) prior to being traded to the Lakers in December of 1974. He played less than two seasons in Los Angeles before announcing his retirement following the 1976-77 campaign due to a back injury. Immediately following his playing career, Stu embarked on a broadcasting career, serving as a commentator for the San Diego Clippers, San Diego State University, CBS and the NBA Radio Network. In addition to his broadcast work, for 20-plus years, he also served as an instructor at Pete Newell’s renowned Big Man’s Camp during the offseason, helping improve the skill-set of some of the game’s premier big men. Stu and his wife, Linda, live in San Diego and are the parents of Todd, Kristin and Shane. NBA League Pass is also on Apple TV. Long-time Southern California area broadcaster and four-time local Emmy Award-winning announcer and host Bill Macdonald enters his eighth season behind the mic as Lakers television play-by-play announcer on Spectrum SportsNet. The versatile Macdonald, a fixture on Fox Sports West/Prime Ticket since its inception in 1985 through the Lakers final season on the network (2012), has broadcast in a variety of capacities over the years as host, field reporter and play-by-play announcer for professional basketball, baseball and hockey, among other sports. The host of pre- and post-game shows “Lakers Live,” “Angels Live” and “Ducks Live” before joining the Lakers announcing team, Macdonald has also served as the play-by-play voice for UCLA men’s basketball and football and Los Angeles Avengers football. Having filled in as the Angels, Ducks and Los Angeles Kings play-by-play announcer over the years as well as the Lakers play-by-play announcer on both television and radio, Macdonald most notably called Kobe Bryant’s historic 81-point game on January 22, 2006. Actively involved with charities such as the Special Olympics, the Ronald McDonald House, and the NBA’s Read to Achieve, Macdonald’s work on “Training for Life: The California Special Olympics” was awarded with yet another Emmy. Born in Bronxville (NY) but moving to Corona del Mar (CA) at an early age, Macdonald attended the University of Southern California where he graduated in 1981 with a degree in communications. Currently residing in Newport Coast, Macdonald is the proud father of three sons: twin boys, Kirk and Cory, and Billy Jr. Entering his eleventh season with the Lakers and eighth as the team's sideline reporter, Mike Trudell will maneuver around the court and locker room for Spectrum SportsNet alongside play-by-play voice Bill Macdonald and analyst Stu Lantz. Trudell also serves as the team's beat reporter for Lakers.com, as he has since the 2008-09 season as a full-time member of the team's traveling staff. He added sideline TV duties for road games only during the 2010-11 campaign and handled all locally televised games in the inaugural Spectrum SportsNet season of 2012-13. In addition, Trudell serves as a frequent guest analyst and occasional fill-in host on Spectrum SportsNet programming. In 2013-14, Trudell added radio sideline duties during games for ESPN LA 710 alongside play-by-play man John Ireland and analyst Mychal Thompson. He and Thompson also co-host the "Thompson and Trudell" show from 9-10am on ESPN LA 710 radio. Like the Lakers, Trudell came to Los Angeles from Minnesota, where he was the reporter for Timberwolves.com from 2006-08. He also worked for the NFL's Minnesota Vikings and Baltimore Ravens, the Cologne Centurions of NFL Europe and was a play-by-play announcer for the University of Minnesota's women's soccer team, in addition to several high school sports teams. In 2014-15, Trudell did D-League play-by-play for L.A. D-Fenders games as well. Trudell is a 2004 graduate of Northwestern University's Medill School of Journalism in Evanston, Ill., outside of Chicago, with a double major in history. He played Big Ten varsity soccer and also honed his broadcast skills at the campus TV (NNN) and radio (WNUR) stations. Raised in Lake Minnetonka, Minn., Trudell currently resides in Redondo Beach with his wife, Annie, identical twin boys Jett and Talan, and French Bulldog, Lyla. Serving as the team’s sideline reporter on KCAL-9 from 2002-11, John Ireland returns for his eighth season behind the mic as radio play-by-play announcer for the Lakers. A seven-time local Emmy Award winner for best sports reporting, Ireland currently co-hosts the Mason and Ireland Show on the Lakers flagship station 710 AM ESPNLA Radio. A local talent who grew up in Corona del Mar and graduated from UCLA in 1985 with a degree in history, Ireland’s career path took him to stations in Monroe (LA), Beaumont (TX) and San Diego (CA) before bringing him home to the Los Angeles area in 1995. In addition to his studio and “roving reporter” work over the years, Ireland added the Los Angeles Clippers radio play-by-play announcer responsibilities to his resume in 1997, working five seasons in all for the team on a fill-in basis before joining the Lakers beat in 2002. A four-time recipient of the Southern California Sports Broadcasters (SCSB) Irv Kaze Radio Talk Show Host Award, Ireland also previously filled in on radio play-by-play duties for both UCLA and Lakers basketball games. Ireland, who enjoys pick-up basketball and golf when away from work, is involved in numerous charity organizations that include Autism Speaks among others. He and his wife, Leasa, reside in Manhattan Beach with their son, Jack. A member of the Lakers championship teams in 1987 and 1988, Mychal Thompson enters his 16th season as the team’s radio color commentator. Formerly the Minnesota Timberwolves television color analyst for two seasons, Thompson teams with play-by-play announcer John Ireland for all Lakers radio broadcasts. Thompson, a standout at the University of Minnesota, averaged 20.8 points per game throughout his four-year collegiate career and was named All-America following both the 1976-77 and 1977-78 campaigns. The leading scorer in Golden Gopher history with 1,992 points, Thompson was the first overall selection in the 1978 NBA Draft by the Portland Trailblazers. In 12 seasons and 935 regular season games with the Trailblazers, Lakers and San Antonio Spurs, Thompson averaged 13.7 points, 7.4 rebounds and 2.3 assists. Prior to joining the Lakers broadcast team, Thompson co-hosted a radio show in Portland, Ore. and also worked with the NBA’s Vancouver Grizzlies, Seattle Supersonics and Trailblazers as a television broadcast color analyst. Thompson also serves as Sports Ambassador for his native Bahamas. Thompson and his wife, Julie, reside in Ladera Ranch and have three sons: Mychel, a professional basketball player with past NBA and NBA Development League experience, Klay, who won the 2018 NBA Championship as a member of the Golden State Warriors and has gold medals from the 2016 Olympic Games in Rio de Janeiro and the 2014 World Championship in Spain, and Trayce, who is currently an outfielder in the Chicago White Sox organization. 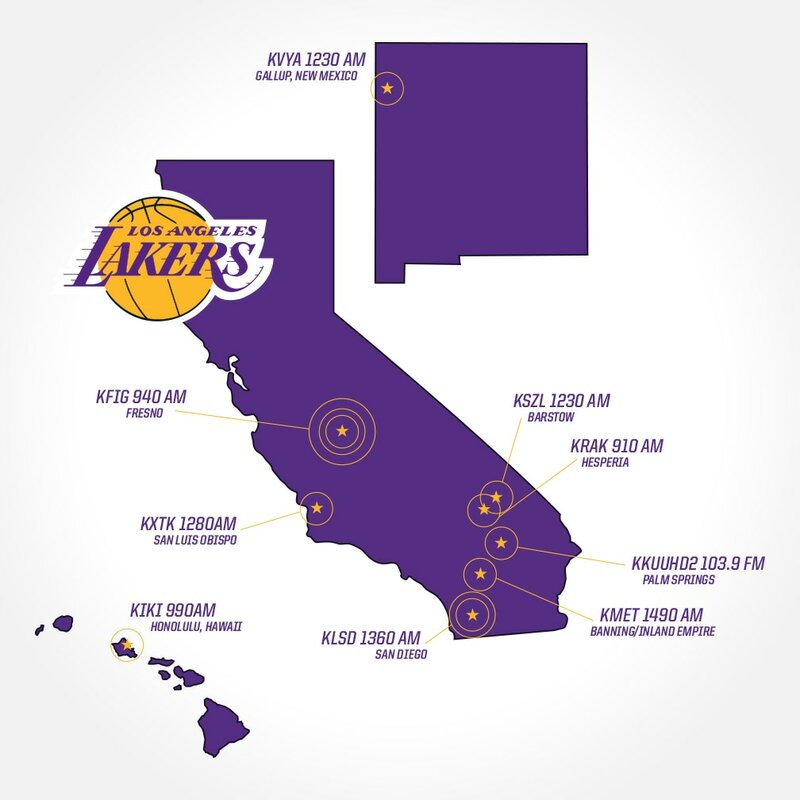 Beginning his 23rd season as a play-by-play announcer for the Lakers, Fernando Gonzalez serves as the Spanish Voice of the team, broadcasting every game on 1330 ESPN Deportes, the Lakers Spanish language flagship. Gonzalez is quite familiar to the Lakers Spanish-speaking audience as he also served as the news director for KWHY-TV and anchored the popular sports news program “Mundo Deportivo.” Gonzalez has received several accolades for his work including the 1995 Golden Mike Award for best sports segment. Not limited to basketball, Gonzalez has also broadcast a variety of sporting events including World Cup soccer, the Olympic Games, professional boxing, NHL hockey and Pacific-10 football. Born in Toluca, Mexico, Fernando graduated from La Universidad Autonoma del Estado de Mexico with a law degree. He and his wife, Maria Teresa, have two children, Luis Fernando and Tatiana and have been residents of Los Angeles since coming to the United States in 1989. 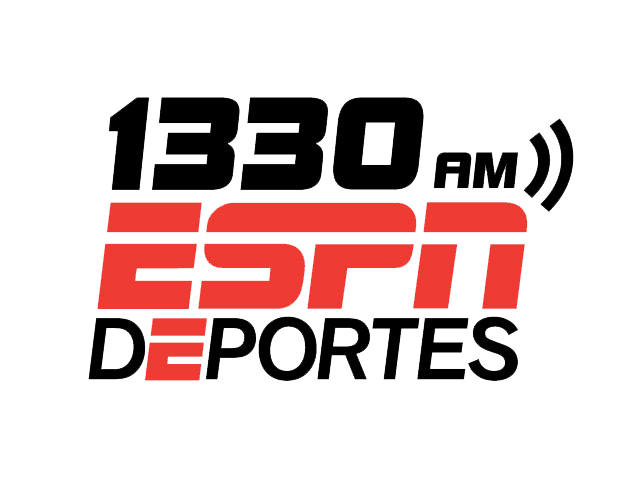 En su vigesimotercera temporada como el relator de los Lakers, Fernando González es la voz en español del equipo, relatando cada partido para 1330 ESPN Deportes, la radio en español de los Lakers. González está bastante familiarizado con la audiencia hispana de los Lakers ya que también fue director de noticias de KWHY-TV y conductor del popular programa “Mundo Deportivo”. González ha recibido varios premios por su trabajo incluyendo el Golden Mike en 1995 al mejor segmento deportivo. González no se limita solo al baloncesto, ya que ha relatado una variedad de eventos deportivos incluyendo la Copa Mundial de fútbol, Juegos Olímpicos, boxeo profesional, hockey de la NHL y fútbol americano del Pac-10. Nacido en Toluca, México, Fernando se graduó de la Universidad Autónoma del Estado de México con un título en leyes. Su esposa María Teresa, y él, tienen dos hijos, Luis Fernando y Tatiana, y son residentes de Los Ángeles desde que se mudaron a los Estados Unidos en 1989. One of the most active sports journalists in Los Angeles, he is also a popular panelist for radio and TV sports shows, and as a result, was honored with the 2017 Spanish Language Radio Analyst from the Southern California Sports Broadcasters Hall of Fame Awards and and the National Hispanic Media Coalition Impact Award in 2014. In addition to those duties, Pepe has managed to find time to broadcast the Olympics, MLB, the NFL, WNBA, the Pan American Games, college football and basketball, and a variety of soccer leagues and events, including several FIFA World Cups, MLS, the EPL, SERIE A, and Mexico’s national soccer league. He was also the Spanish voice of USC Trojans football for multiple seasons since the turn of the century (most recently between 2012-14), and provided English commentary during the 2006 and 2010 FIFA World Cups for AM 570 radio, and 2014 World Cup for 710 AM. A graduate of UNAM in Mexico, Pepe has one daughter, Mercedes, and one son, Andres from his late wife Ivonne, and makes his home in Irvine. Desde 1993, Jose “Pepe” Mantilla ha sido el comentarista de las transmisiones de los Lakers en español, y ya se encuentra en su temporada No. 25, con casi 30 años de experiencia en total. La voz original de los Lakers en español, Mantilla comenta los partidos de los Lakers a la gran audiencia hispana del equipo, y no se ha perdido un juego en más de dos décadas. El oriundo de México ha visto al equipo ganar cinco títulos en su estadía, que incluye la conducción de “El Show de los Lakers” y la “Fiesta Lakers”. Al ser uno de los periodistas deportivos más activos de Los Ángeles, él es también un popular panelista en shows de radio y televisión, y fue honrado con el premio Hispanic Media Coalition Impact en 2014. Además de esos roles, Pepe encontró tiempo para transmitir las Olimpiadas, la MLB, la NFL, la WNBA, los Juegos Panamericanos, baloncesto y beisbol colegial, y una variedad de ligas y eventos de fútbol, incluyendo varias Copas del Mundo, MLS, la Premier League de Inglaterra, la SERIE A, y la Liga Mexicana de fútbol. Él fue también la voz en español de los USC Trojans durante varias temporadas (más recientemente entre 2012-14), y aportó comentarios en inglés durante las Copas del Mundo de la FIFA en 2006 y 2010 para 570AM y en 2014 para 710AM. Graduado de UNAM en México, Pepe tiene una hija, Mercedes, y un hijo, Andrés, con su esposa Yvonne, quien falleció en 2015, y reside en Irvine. Francisco Pinto, a veteran television sports host, anchor and analyst for over 20 years, returns for his sixth season in a new role as the team’s Spanish-language radio color commentator. 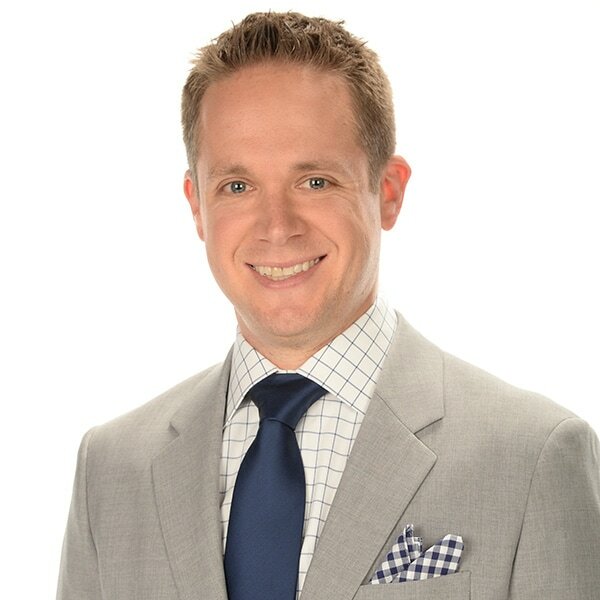 Pinto won the 2012 and 2015 NBA Broadcasting Award for Best Live Call and a 2013 LA Area Emmy Award for Live Sports Coverage for the contest between the Lakers and Raptors on December 8th of that year. Prior to joining the Lakers broadcast team, Pinto spent 12 years with KMEX-TV, Univision’s LA affiliate, where he was a sports anchor for seven years before switching to news and becoming a host on the station’s morning newscast, Primera Edicion. Having covered many of the biggest sporting events in the world, including two World Cups (2002 and 2006) and several NBA Finals, Super Bowls, World Series and world title boxing matches. Pinto, who began his broadcasting career in 1996 with a three-year stint as a sports and news anchor at KUVS-TV, Univision’s affiliate for the Modesto, Stockton and Sacramento areas, has also hosted The Rose Parade in Pasadena on three occasions, interviewed dignitaries that include presidents and Nobel Prize winners and earned five Emmy nominations over the course of his career. A native of Concepcion, Chile and former soccer player, Pinto studied Physical Education at the Universidad de Concepcion, where he played for the university’s soccer team as well as the Deportes Concepcion Reserve Team. Pinto, who also played and coached squash in Chile, later came to the United States to study Sports Medicine at the Master’s College in Santa Clarita, California. He and his wife of 21 years, Rachel, reside in the South Bay with their two children, Sofia and Sebastian. Francisco Pinto, un veterano presentador de noticias, conductor deportivo y analista durante más de 20 años de carrera, regresa para su sexta temporada con el equipo en un neuvo rol, el de comentarista radial de los partidos de Lakers en español. Pinto ya ganó el premio al Mejor Relato en Vivo de la NBA en el 2012 y 2015, además de un Emmy local el 2013 por la Mejor Cobertura Deportiva en Vivo en un juego entre Lakers y Raptors el 8 de diciembre de aquel año. Antes de unirse al equipo de transmisión de los Lakers, Pinto estuvo 12 años con KMEX-TV, la afiliada de Univisión en Los Ángeles, donde fue conductor deportivo durante siete años antes de pasarse a las noticias y convertirse en el conductor del noticiero de la mañana, Primera Edición. Durante sue destacada carrera, Pinto ha cuierto en vivo algunos de los eventos deportivos más importantes del mundo, incluyendo dos Copas del Mundo (2002 y 2006) y varias Finales de la NBA, Súper Bowls, Series Mundiales y peleas de box por títulos mundiales. Pinto, quien comenzó su carrera en 1996 con un paso de tres años como conductor deportivo y presentador de noticias en KUVS-TV, la afiliada de Univisión para las áreas de Modesto, Stockton y Sacramento, también fue el anfitrión del Desfile de las Rosas en Pasadena en tres ocasiones, entrevistando a dignatarios que incluyen ganadores del Premio Nobel, y recibiendo cinco nominaciones al Emmy a lo largo de su carrera. Oriundo de Concepción, Chile y ex jugador de fútbol, Pinto estudió Educación Física en la Universidad de Concepción, donde jugó en el equipo de la universidad, así como en el equipo juvenil y de reservas de Deportes Concepción. Pinto también jugó y fue entrenador de squash en Chile, y más adelante vino a los Estados Unidos a estudiar Medicina Deportiva en el Másters College en Santa Clarita, California. Su esposa, Rachel, y él llevan 21 años de casados, residen en el South Bay y tienen dos hijos, Sofía y Sebastián.